BlackRock, Vanguard and State Street have expanded their corporate governance teams significantly in response to growing pressure from policymakers and clients to demonstrate they are policing the companies they invest in. The move by the world’s three largest asset managers, which together control nearly $11tn of assets, will help address fears that investors are not doing enough to monitor controversial issues around executive pay and board diversity at the companies they invest in. New York-based BlackRock now has the largest corporate governance team of any global asset manager, after hiring 11 analysts for its stewardship division over the past three years, bringing total headcount to 31. Vanguard, the Pennsylvania-based fund company that has grown quickly on the back of its low-cost mantra, has nearly doubled the size of its corporate governance team over the same period to 20 employees. 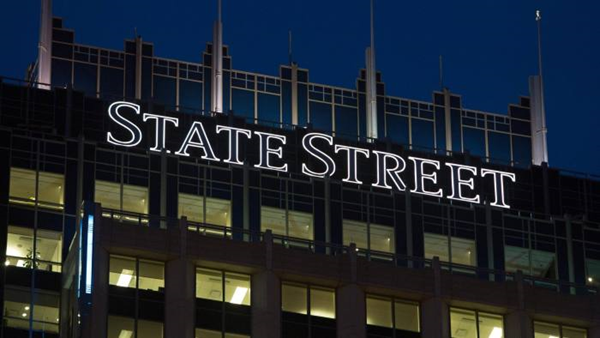 State Street, the US bank, has almost tripled the size of the governance team in its asset management division to 11. Both Vanguard and State Street said their governance teams will continue to grow this year. The focus on corporate governance comes as regulators and politicians around the world increasingly scrutinise the relationship between companies and their shareholders. Asset managers have previously been accused of routinely supporting company proposals in order to avoid damaging their relationships with senior executives. Theresa May, the British prime minister, launched a far-reaching consultation on reforming corporate governance in the UK last November in a bid to improve business behaviour. The government wants to strengthen shareholders’ power, but is also considering whether to force large investors to disclose their voting records at companies’ annual general meetings. The EU’s shareholder rights directive — a vast set of rules that is expected to come into force across Europe in 2019 — is similarly expected to strengthen shareholders’ rights, as well as to force large investors to reveal more information about how they engage with companies. Other large asset managers that have expanded their stewardship teams over the past three years include Fidelity International, which now has 12 governance analysts; Legal & General Investment Management, which has 10; Aberdeen Asset Management, which has 20; and US public pension funds Calpers and Calstrs, which have 29 and 12 respectively. Large pension funds and other institutional investors are simultaneously demanding more information from their external asset managers on their approach to corporate governance, putting pressure on fund houses to increase resources in this area. Rakhi Kumar, head of corporate governance at State Street Global Advisors, said client demand for information on the company’s approach to this issue had “gone up significantly”. The belief is that better governance analysis helps investors avoid companies that are on the brink of a costly scandal. This issue has come to the fore over the past two years after the exposure of serious governance failings at Petrobras, the Brazilian oil company, and Volkswagen, the German carmaker, which caused their share prices to fall dramatically. An investment director at a large US pension fund, speaking on condition of anonymity, said his scheme looked for careful governance analysis at the external asset managers it uses. “US asset managers are putting more firepower behind evaluating corporate governance, which is increasingly being viewed as a risk management issue. Companies with poor governance are higher risk,” he said.